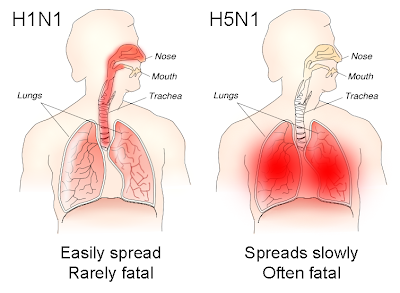 As written about earlier, the H5N1 Avian Influenza Virus has been a controversial topic as of late. Studies have surfaced that this virus, deadly to birds, can be mutated to attack humans also. The US Government have called the attention of the scientific community not to publish the study since bio terrorists may start experimenting with it and unleash it on the general public. 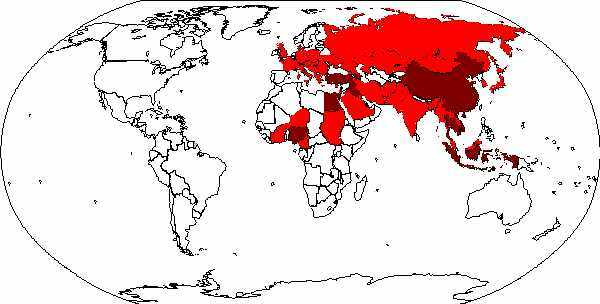 The article can be found here: H5N1 Virus Controversy: Avoid a Pandemic or a Terrorist Attack? 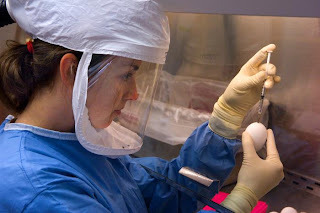 The U.S. National Science Advisory Board for Biosecurity has recommended restricting the publication of results from research on H5N1 avian influenza virus, leading to the generation of viruses that are more transmissible in mammals. The Advisory Board explains the reasoning behind this decision in an article published jointly today by Science and Nature, which is available now for immediate release. In Science, this article is a Policy Forum, available to the public at www.sciencemag.org/hottopics/biosecurity. This special informational page also includes previously released commentaries by researchers Ron Fouchier, Daniel Perez, and others. The American Society for Microbiology's journal mBio is also releasing material on this topic at the same time today. 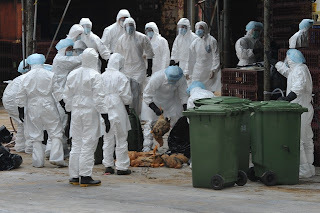 Video: H5N1 Avian Virus: The Next Pandemic? Recently, several scientific research teams have achieved some success in isolating influenza A/H5N1 viruses that are transmitted efficiently between mammals, in one instance with maintenance of high pathogenicity. This information is very important because, before these experiments were done, it was uncertain whether avian influenza A/H5N1 could ever acquire the capacity for mammal-to-mammal transmission. Now that this information is known, society can take steps globally to prepare for when nature might generate such a virus spontaneously. At the same time, these scientific results also represent a grave concern for global biosecurity, biosafety, and public health. Could this knowledge, in the hands of malevolent individuals, organizations, or governments, allow construction of a genetically altered influenza virus capable of causing a pandemic with mortality exceeding that of the “Spanish flu” epidemic of 1918? The research teams that performed this work did so in a wellintended effort to discover evolutionary routes by which avian influenza A/H5N1 viruses might adapt to humans. Such knowledge may be valuable for improving the public health response to a looming natural threat. And, to their credit and that of the peer reviewers selected by the journals Science and Nature, the journals themselves, as well as the U.S.government, it was recognized before their publication that these experiments had dual use of concern potential. The U.S. government asked National Science Advisory Board for Biosecurity (NSABB) (5), to assess the dual-use research implications of two as-yet-unpublished manuscripts on the avian influenza A/H5N1 virus, to consider the risks and benefits of communicating the research results, and to provide findings and recommendations regarding the responsible communication of this research. The life sciences have reached a crossroads. The direction we choose and the process by which we arrive at this decision must be undertaken as a community and not relegated to small segments of government, the scientific community, or society. Physicists faced a similar situation in the 1940s with nuclear weapons research, and it is inevitable that other scientific disciplines will also do so. Along with our recommendation to restrict communication of these particular scientific results, we discussed the need for a rapid and broad international discussion of dual-use research policy concerning influenza A/H5N1 virus with the goal of developing a consensus on the path forward. There is no doubt that this is a complex endeavor that will require diligent and nuanced consideration. There are many important stakeholders whose opinions need to be heard at this juncture. This must be done quickly and with the full participation of multiple societal components. There are many parallels with the situation in the 1970s and recombinant DNA technologies (6–8). The Asilomar Conference in California in 1975 was a landmark meeting important to the identification, evaluation, and mitigation of risks posed by recombinant DNA technologies. In that case, the research community voluntarily imposed a temporary moratorium on the conduct of recombinant DNA research until they could develop guidance for the safe and responsible conduct of such research. We believe that this is another Asilomar-type moment for public health and infectiousdisease research that urgently needs our attention.